Cybersecurity consultants work with businesses to prevent the hacking, theft, or damage of data, software, and hardware. These firms provide cybersecurity solutions, also known as IT security, to businesses across a broad range of industries. After partnering with a business, consultants will examine current security practices and infrastructure for weaknesses and formulate a plan to remedy any problems. These consultants will then work to implement the agreed-upon solutions, which could include both policy and infrastructure changes. Cybersecurity consulting firms often provide other consulting solutions such as implementation services and IT strategy consulting. Businesses looking for assistance in managing, increasing, or modifying their current IT security measures could benefit from partnering with a cybersecurity consulting firm. Cybersecurity Consulting reviews by real, verified users. Find unbiased ratings on user satisfaction, features, and price based on the most reviews available anywhere. Armed with the latest tools, strategies, and knowledge to address your global security needs, our comprehensive services include everything from incident response and security risk assessments to comprehensive, customized deployments and training. 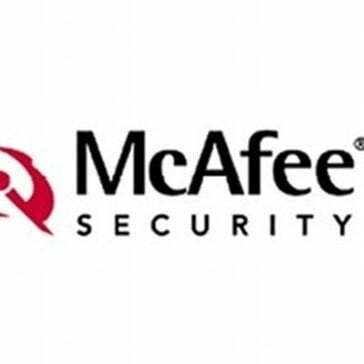 We offer a full range of services that span the entire McAfee portfolio of solutions and ensure you get heightened visibility into your overall security posture. 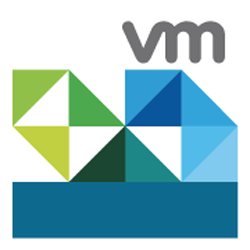 VMware is a global leader in cloud infrastructure and business mobility. Sophos delivers the best IT security and data protection for businesses. We produced our first encryption and antivirus products back in the 1980s. And today our products protect over 100,000 businesses and 100 million users, in more than 150 countries. 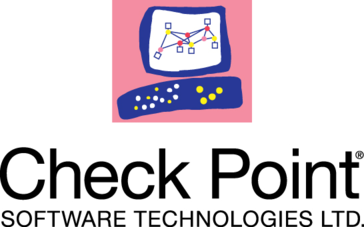 Check Point Software Technologies Ltd. is the largest network cyber security vendor globally, providing industry-leading solutions and protecting customers from cyberattacks with an unmatched catch rate of malware and other types of threats. 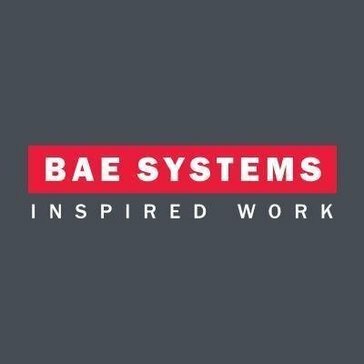 BAE Systems is a global defence, aerospace and security company employing around 88,200 people worldwide. Our wide-ranging products and services cover air, land and naval forces, as well as advanced electronics, security, information technology, and support services. BlackBerry is a software company with a standard of security for managing the network of mobile and wearable devices, desktops and laptops, and other endpoints within enterprises. Mythics Consulting is an experienced Systems Integrator providing end-to-end guidance and support in a full range of services. CARSON & SAINT brings unique value through our long history of professional service experience and innovative product capabilities that support both public and private sector. Our value is being The Trusted Partner that enables business success through comprehensive and effective risk management. The SAINT team has not only been fighting the cyber battle since the very beginning of internet commerce but also continues to innovate and lead the industry in services and technology. The SAINT security suite has unparallel depth and effectiveness borne from years of customer use and continuous devotion to providing our customers a suite of tools that make a definitive difference in their quest to be secure. We have combined both Carson and Saint into one entirety. Sirius also has a dedicated software team capable of helping companies evaluate, acquire and implement software solutions in the areas of commerce, business intelligence, information management, collaboration, identity and access management, business optimization, systems and storage management, and more. Organizations across the world look to Symantec for strategic, integrated solutions to defend against sophisticated attacks across endpoints, cloud and infrastructure. 7elements is an IT security consultancy providing expertise in technical information assurance through security testing. As a leading innovator in the information security arena since 1988, AhnLab's cutting edge products and services have been fulfilling the stringent security requirements of both enterprises and consumers. AlixPartners is a firm that provides business and financial advisory services including operations efficiency, revenue optimization, cost management, margin expansion, and enterprise transformation advisory services. With the average breach costing an organization almost $4M, it simply makes sense to put up the best defenses you can. Biscom's Cybersecurity Consulting Services offer a range of services for small-to-medium enterprises that will help you improve your cybersecurity posture. Booz Allen Hamiltonis a firm that provides management and technology consulting and engineering services to leading Fortune 500 corporations, governments, and not-for-profits across the globe. Bright-Circle provides organizations and individuals with Data Backup, Recovery and highly customized IT Services. As a leading provider of research and development, auditing services, training, data compliance, managed technology solutions and advisory services, we help organizations respond to everyday information security challenges. CA Services will offer guidance and business planning services along the way to help you align IT with your goals. Work with our strategic and technical advisors to align security, compliance, and threat management with your business goals. We are an extension of your information security assurance team. We offer a range of penetration testing services for your specific industry. The reports are tailored for the compliance requirements of your organization. Whether it is PCI, FERPA, FACTA, GLBA, or GDPR, the team at Cyber Security Services is here to help meet those requirements. In addition to pentesting services, we offer 24x7x365 network security monitoring services, virtual CISO services, and general cyber security consulting. Our goal is to be your go-to partner for all information security requirements throughout the year. Cylance is a cybersecurity products and services company focusing on stopping tomorrow's attacks today. DBAPPSecurity Ltd., a leading company focusing on cloud computing, big data, smart city, mobile internet, web application and database security technologies. NorthAlley specializes in Saas Applications,New Product Development Initiatives,Technical Risk Mitigation Services,Application Modernization and end to end Mobile Application Development. EY is a global leader in assurance, tax, transaction and advisory services. The insights and quality services we deliver help build trust and confidence in the capital markets and in economies the world over. Fidelis Cybersecurity protects the worlds most sensitive data by equipping organizations to detect, investigate and stop advanced cyberattacks. Forcepoint CyberSecurity Intelligence (CSI) helps you protect IP with systems that eliminate security blind spots by understanding people's behaviors and motivations as they interact with your critical business data everywhere. General Dynamics IT provides mission-focused cybersecurity services, deploying solutions to defend the most mission-critical systems including tactical, cross-domain, large-enterprise and national networks from the most determined and sophisticated adversaries. GreySpark is a web-based business intelligence platform for security operations designed to protect organizations from risks and threats. Innove provides cyber security consulting to help clients understand and prepare for cyber threats. Hack2Secure specializes in information security domain and offers professional IT decurity programs including training, services and solutions. Cybersecurity consulting services and solutions. KLC Consulting is a firm that offers information assurance / Security, IT Audit, and Information Technology products and services to government and Fortune 1000 companies,it designs preeminent systems to prevent security breaches, enabling clients to improve their focus on core competencies. No one is immune to data loss incidents, and no one is better equipped than Kroll to help you identify and close gaps that put your organizations cyber security at risk. For more than 40 years we have been tackling some of the biggest problems that face our nation and our world. Locus IT Consulting is a firm that offers enterprise resource planning (ERP) services to help organization get the most from their ERP investments, it implement, integrate and manage popular ERP & CRM packages from Microsoft Dynamics. Magenium Solutions is an IT consulting services firm that provide IT solutions including Microsoft Dynamics CRM, Office 365, Azure, Unified Communications and enterprise systems management, its services range from IT staffing to cloud computing to mobile app development to help clients grow their businesses, boost productivity, stay competitive, and reduce costs. FireEye is transforming the cyber security landscape to combat today's advanced cyber attacks, and we want you to be part of our team. Consulting services of security operations centers that have contributed to the creation and maturation of several Enterprise Security operations of anyone else in the world. MindPoint Group provides a cyber and information technology security consulting services that offers information security and privacy (IS&P); business continuity and disaster recovery; security compliance, risk assessment, and management; and cloud security consulting services and it provides enterprise solutions including monitoring, analysis, and remediation of security events. With a focus on managed security services (MSS) and global threat intelligence, NTT Security protects traditional and virtual IT infrastructures, cloud environments and mobile data. Hi there! Can I help you find the best Cybersecurity Consulting solutions?